Responding to digital disruption has become a central issue for organisations everywhere, however, with the right response, disruption offers tremendous upside to firms that can harness its forces. Due to the accelerated pace of change, plans of today might be obsolete tomorrow. By building robust and responsive ecosystems and driving collaboration in previously unexpected places, our clients can meet the evolving demands of customers. Organisations need to evolve their risk management function by implementing the right people, processes and technology to move along their organisations digital journey. We help organisations manage this transformation holistically as well as support individual projects to drive change. Organisations can start this transformation by building a digital trust framework to create value by benefiting from the right risks brought by digital while staying compliant, capable and protected across the digital ecosystem. 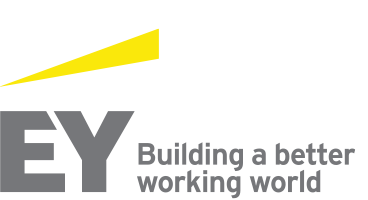 EY’s broad range of digital risk capabilities, tools and accelerators give our clients the foresight and business confidence to navigate the complexities of today’s and tomorrow’s risks while creating and maintaining Digital Trust. We help clients understand the risks they are facing, incorporate risk into their strategy and take advantage of the right risks, while mitigating and protecting their businesses from preventable risks. We help our clients rethink their business strategy and operating models for the digital age. We establish end-to-end Innovation capabilities and incubate new ideas and business models. We analyse the world of the customer, then design and implement new experiences. We design and build technology underpinning experiences, including the use and analysis of data. We align the organisation to the overall strategy, empowering a workforce of the future. In the world of ever increasing automation and digital data, establishing a continuous monitoring approach to identifying, prioritising and responding to risk triggers coupled with predictive analytics, elevates an organisation’s risk response mechanism from reactive to proactive and predictive. With our focus on building Digital Trust into the organisation and out to its stakeholders, our clients will be able to leverage the world of digital while effectively managing its risks – creating new business value and unlocking potential. By incorporating risk into the entire chain of decision making, organizations can build trusted strategy, trusted implementation of new solutions, and trusted operations.